The Indian Residential School (IRS) system in Canada directly affected 150,000 Indigenous children who were taken to state-sponsored and church-run institutions to separate them from their families and cultures. During the century and a half leading up to around 1970, over 130 IRS were scattered throughout the country. The role of architecture in this genocidal system is a crucial, but overlooked aspect of its realization. In the first decades of the twentieth century, the Canadian government became increasingly involved in building and rebuilding the IRS, as a dedicated arm of the Department of Indian Affairs in Ottawa became a centrally controlled apparatus of architectural production. Passing from utopian space to evolving memory, the architectural remnants of the IRS system tell many stories, which are among those that need to be heard and acknowledged by contemporary Canadian society as part of its troubled relationship with Indigenous peoples. Through archival research, documentation, narrative, and critical analysis, explorations of four former IRS sites configure this thesis, each providing a lens on the space and memory of this difficult and often traumatic past. Located in Ontario and Manitoba, they were designed, fully or in part, by the little-known R.G. (Roland Guerney) Orr, Chief Architect of Indian Affairs from 1921 to 1935. Mapping architecture to ideology, I examine the development of the Mohawk Institute in Brantford, Ontario in the legal and political contexts of Indigenous-Canadian relations. 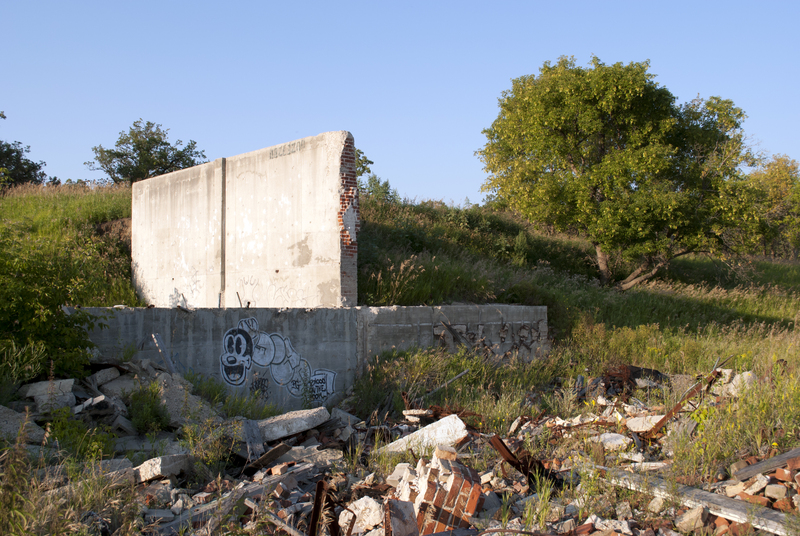 At the abandoned Birtle IRS in southwestern Manitoba, the institutional intricacies of this broad view come into focus through a critique of the architectural program and its intentions. Nearby, at the site of the demolished Brandon IRS, the heap of leftover debris calls forth questions of collective memory, explored through conventional representations and their transformations in the art of survivors and post-residential school Indigenous artists. I consider the archive and its role in bringing forth the future at the former Shingwauk Hall in Sault Ste. Marie, Ontario, now the site of Shingwauk Kinoomaage Gamig, an Anishinaabe post-secondary institution, and Algoma University. Finally, I return to the Woodland Cultural Centre, located next to the Mohawk Institute building and whose staff are currently reimagining the former IRS based on feedback from the community. Rather than resting on conclusions, this thesis probes these difficult histories as an opening up towards the future, propelled by the past but open to spaces of divergence.